District 29 – April 2012 – Lincoln Nebraska A.A.
Treasurer – Not Present (Emailed report) Luke F.
Secretary’s Report: Sheila H. March 13, 2012 Minutes were read Approved. Rent is paid through June of 2012 in the amount of $10.50. Still there is no PO Box, so if there are contributions please bring the donation to the District Meeting. District 3 continues without a DCM. Central Office is in need of alternate Board members. Contribution lists were distributed. (D & E) – Bill O; Monday night meeting is looking for volunteers. Call Bill if interested. (Old Business) – Luke H from Treatment Committee was in attendance and our discussion of a joint Corrections/Treatment workshop continued, with an emphasis on Bridging the Gap, since it is what both committees have in common. It was decided that a workshop about Bridging the Gap, and drumming up more volunteers to be temporary sponsors, would be a worthy project. Website Committee: (Ron E.) – So far there has 1542 Hits to the website which is up from last year. More people volunteered to help during the meeting. More discussion about if this should be run through Special Events. Robert is willing, but doesn’t believe it necessary. Since Jeremy (Special Events Committee) was not present. 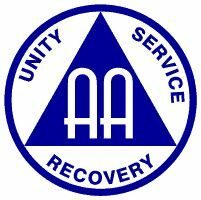 Discussion about Lincoln AA Anniversary is tabled. PICPC requests $558.69 for an ad for the upcoming workshop to be placed in the Lincoln Journal Star and Neighborhood Extra to reach the public. Voted – Approved. – A copy of the ad and workshop content will be provided at next meeting. Charles A. (Area 41 Corrections Chair) emailed Albert information on the Nebraska Department of Corrections hand out. It talks about what it is and isn’t. It also has a sample of where correction facilities are in correspondence to districts in Nebraska. Ray P. (Area 41 Secretary) emailed Albert information on the new Service handbook and its changes. Sheila H. (Secretary for District 29) GSR for Lincoln Foxhall will continue to be secretary, not representing a group in district 29 even though the new boundaries have taken place, putting Lincoln Foxhall in District 3. Friday Night Eagle Group – Eric H. (Friday 8:00PM ~ Eagle) The group is averaging 10 to 13 people in attendance. The speaker meeting brings in a lot more people taking the attendance up to approximately 20 people. The group is seeing more of the old people coming back to the group. The meeting is going well. Closed at 6:56 pm with the serenity prayer. Next Meeting will be held May 8, 2012 at 28th and “S” streets 2nd floor at 6:30 pm.